PracticeLink.com Fa LL 2018 67 features THE Con T ra CT s & Comp E nsa T ion iss UE ▲ ▲ ▲ ANAYAT DURRANI C ontract negotiations aren't taught in medical school or residency, so many young physicians feel unprepared. With a lack of negotiation experience, they may hesitate to make requests. But experts say new physicians shouldn't feel shy about asking questions or negotiating for better terms. Read on for answers to a few common questions about contract negotiation. What terms are up for negotiation? One common mistake young physicians make is accepting the first offer, even when there are points you'd like to discuss. Certain parts of your contract could be up for negotiation — or at the very least, raised in conversation. 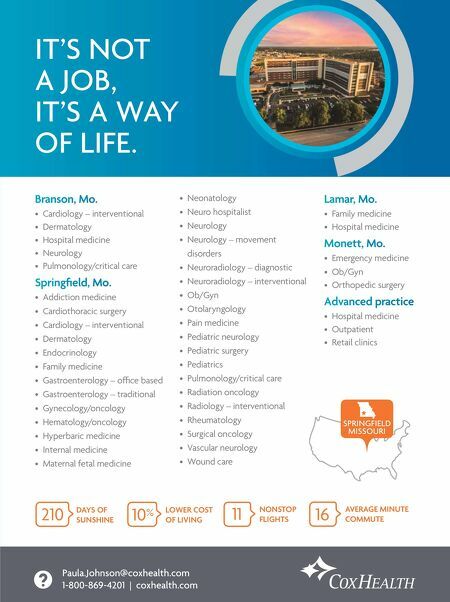 "The most obvious components deal with salary, signing bonus, moving expenses, but several more subtle aspects can be discussed — including length of contract, expectations regarding number of patients to be seen daily or r V u goals," says Zachary P. Castle, d . o . 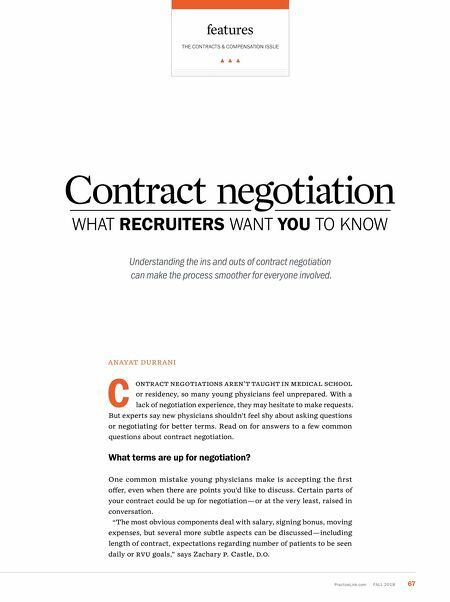 Contract negotiation WH a T RECRUITERS W an T YOU T o K no W Understanding the ins and outs of contract negotiation can make the process smoother for everyone involved.